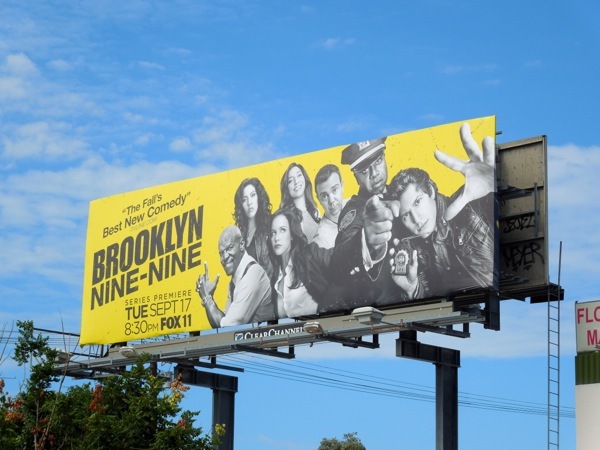 "The fall's best new comedy" isn't a bad headline to help sell a new sitcom and Fox's rookie cop comedy Brooklyn Nine-Nine is certainly doing everything it can to stand out from the rest of the funny shows debuting this TV season with these eye-catching ads. In the new show SNL's Andy Samberg and Men of a Certain Age's Andre Braugher headline a diverse group of detectives on the very edge of New York City. 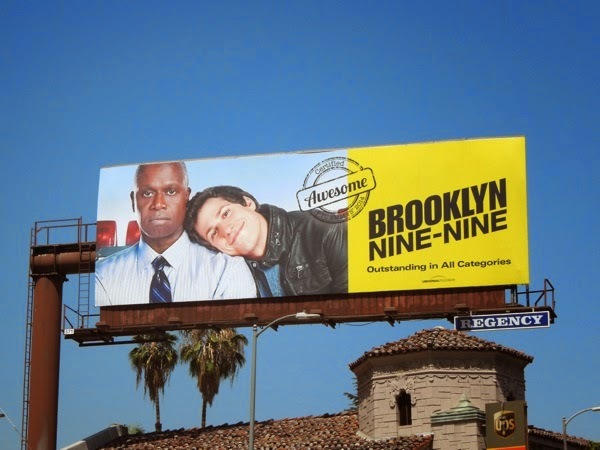 Samberg's 'Jake Peralta' and his police colleagues have a lot to prove when they get a new captain in the form of Braugher's 'Ray Holt', who likes rules and regulations. 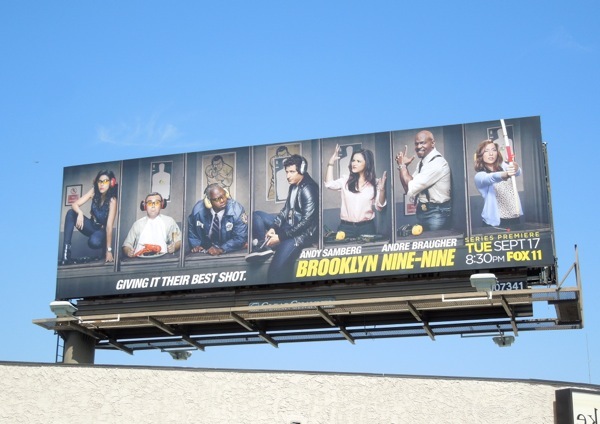 And the 99th precinct will never be the same again. 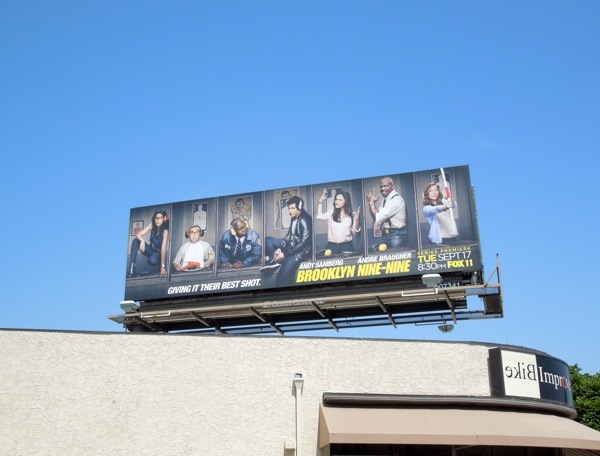 These fun billboards, especially the quirky shooting range ad creative remind Daily Billboard of the classic Police Squad! TV series and The Naked Gun films, which is not a bad thing to evoke. 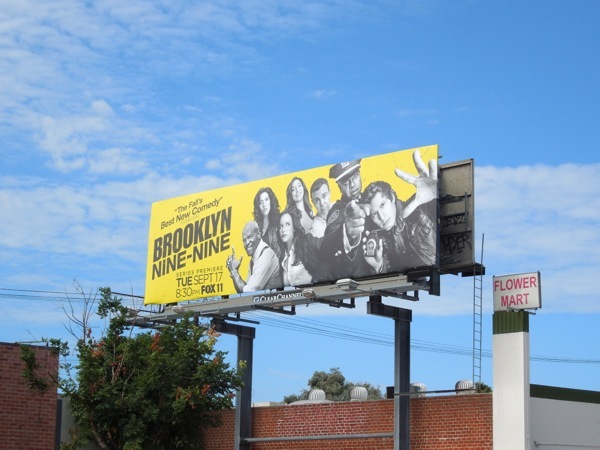 These series premiere billboards were spied along Santa Monica Boulevard at Kelton Avenue on August 15, plus the yellow TV Line quote creative was spotted along Pico Boulevard on August 31, 2013. Stay tuned this week for even more new shows debuting this fall. 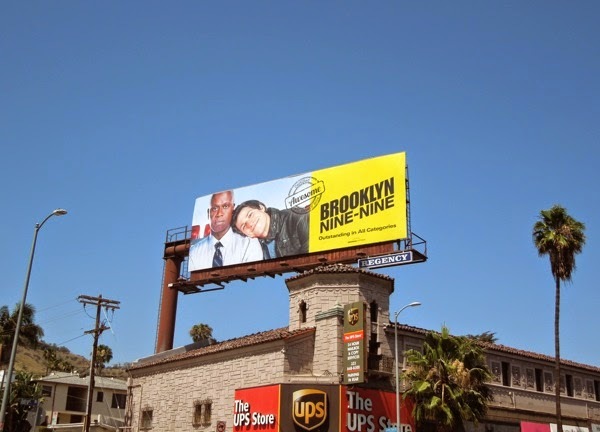 UPDATED: After their rookie season, here's also an Emmy Consideration billboard for TV's new odd-couple, Andy Samberg and Andre Braugher. 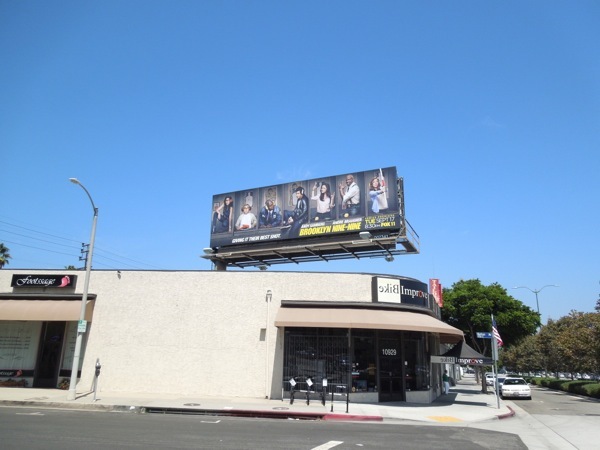 This irreverent 'Certified Awesome' billboard for Brooklyn Nine-Nine was spotted along Sunset Boulevard at Laurel Canyon Boulevard on June 5, 2014.